A couple of months ago I was sitting at my desk with a friend, going through my iTunes collection and trying to put together a play list. Casually I made the comment that I had paid for about 70% of the music in my iTunes. To my surprise his reaction was “whoa, what?? you actually paid for all of this music?? why would you do that when you can download everything for free! ?” The reason his response caught me off guard is because this friend has built a successful career working in the music industry, making money in one way or another off of musicians. Feeling a bit foolish I tried to justify my decision and told him that I simply felt obligated to pay for music if I could afford it. Illegally downloading music felt a bit juvenile when I had the means to finance my music appetite. He agreed but relented that the artists only make about a penny off of each song and that the real money was in touring and other areas. This conversation had me thinking about how I discover music and made me question if I was being a bit naïve about paying for music. There is a lot of music available to download for free online – legally and there is infinitely more available to download illegally. We all know how record labels/RIAA react to this black market in the U.S. with examples such as Napster and most recently LimeWire. Just this week, a U.S. district judge in New York came down on LimeWire under the grounds that the company had “committed copyright infringement, engaged in unfair competition, and induced copyright infringement.” The RIAA which filed the complaint in 2007 is seeking upwards of $1 billion in damages. 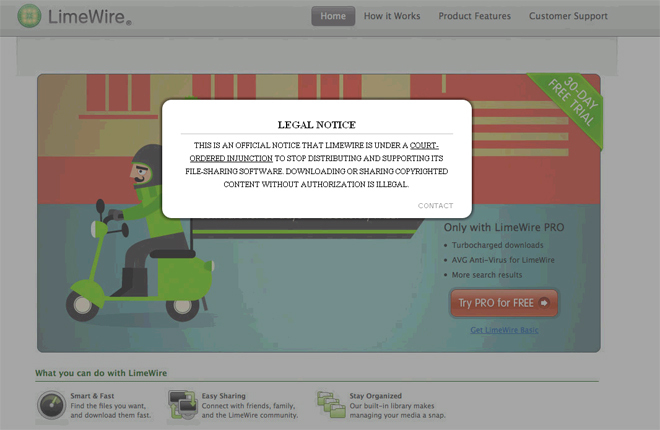 This is the end of LimeWire as we currently know it. On the opposite side of the spectrum (and globe) we have the Netherlands where it is legal and welcome to download content from the Internet such as movies and music. Although there have been several attempts to block this privilege none have been successful. So why is it then that downloading music is either punishable by law or welcomed with open arms depending on where you’re located on a map? For example, when I moved to the Netherlands from Texas all of my go-to sources of streaming entertainment were immediately cutoff: Netflix, Pandora, Hulu, etc. This is where Spotify comes in. 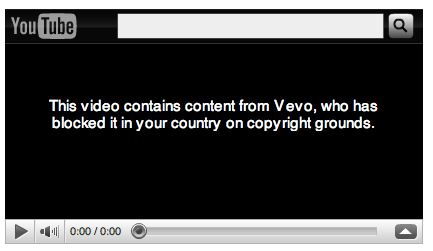 Let me back up and reiterate that my decision to buy music has nothing to do with me being against piracy. It has a lot to do with a personal feeling that I should pay for music like I pay for every other source of entertainment. Well, like I used to pay for every other source of entertainment. Since moving to the Netherlands I’ve definitely jumped on the download bandwagon (c’mon I’m a broke grad student these days!). But I’ve also used tools like Spotify to listen to an album I was considering purchasing, decide if I like it and then purchase it from iTunes so I haven’t completely fallen off the wagon. With Spotify expected to launch by the end of the year in the U.S. it will be interesting to see how consumers (and publishers) react and what impact it will have on the market. For now we’ll just have to live with the global divide of digital distribution until the next start-up comes along and tries to save the music industry from itself. Well, there’s definitely a significant cultural/ideological divide, about the ownership of property, and the ownership of the self (w.r.t. for example, governments), etc. separated by the Atlantic (Ocean, not Records). It’s plainly obvious that the money to be made by song sales in the U.S.-perspective primarily goes to the producer-distributors (labels et al) rather than musicians — at least as far as popular music distribution has developed since post-WWII. Paradoxically, as much as is preached about the individual’s independence and supposed autonomy in the U.S., the “War on Piracy” (and the in-terms-of-ownership-related “War on Drugs”) is another form of “keeping” by a larger entity — if not the state, then by corporations. Don’t feel bad about supporting the artists by spending money towards them.. just maybe make your money go further by buying their merchandise or vinyl (or cassettes) instead. Music- how to start a music distribution website?-On Sale,Shop Now!